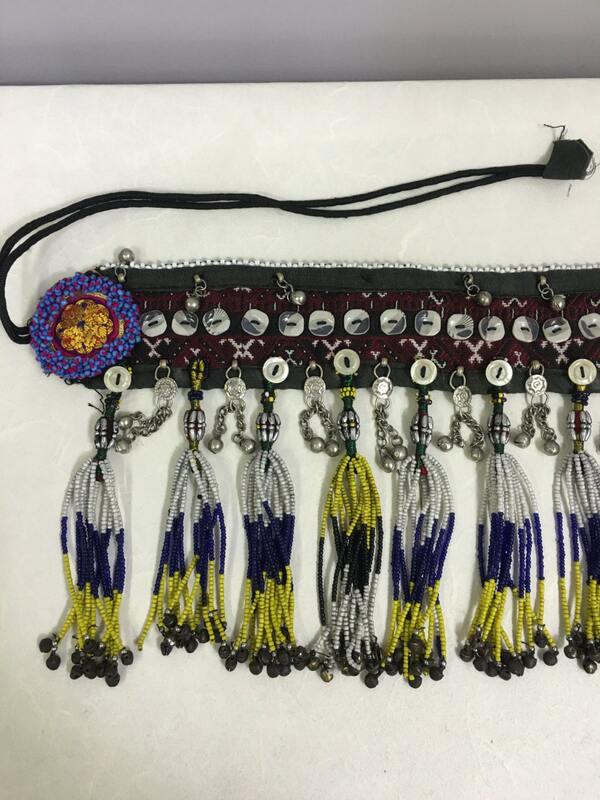 This is a beautiful hand woven and handmade Kuchi Woven and Beaded Dance Belt with Buttons and Tassels and Blue Beaded Buttons from the Middle East.. Kuchi is a word word that means " those who go on migrations". The Kuchi are Pashtun nomads who maintained their nomadic lifestyle for more than 3000 years. 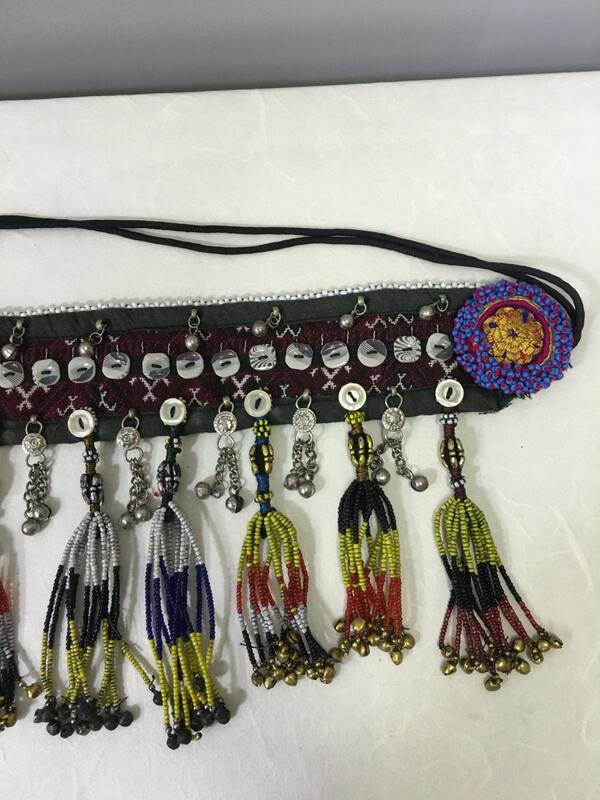 They live throughout Central Asia and their jewelry is renowned for its vibrant energy, exuberant colors and creative spirit. 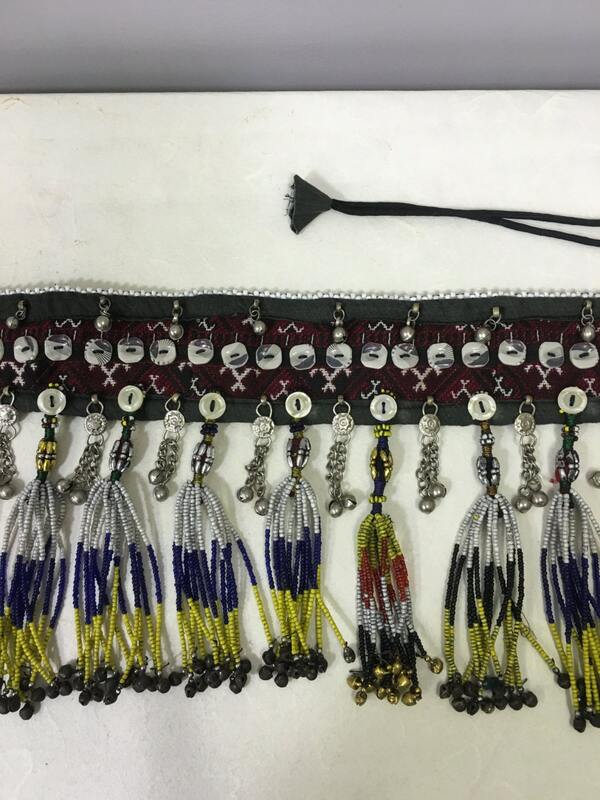 This is a beautiful tribal textile belt with buttons, woven fabric, beaded tassels, bells and beautiful silver embellishments and white bead trim along the top. 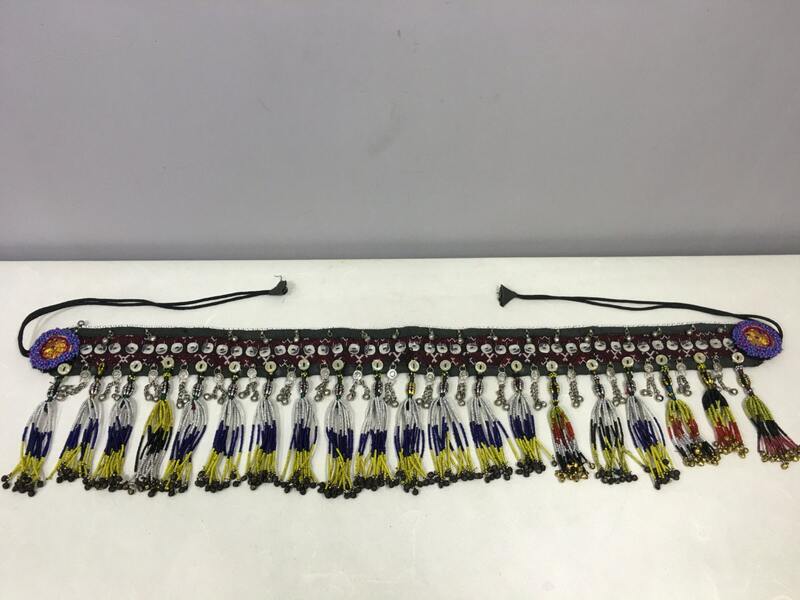 This type of belly dancing belt makes wonderful sounds with each movement. 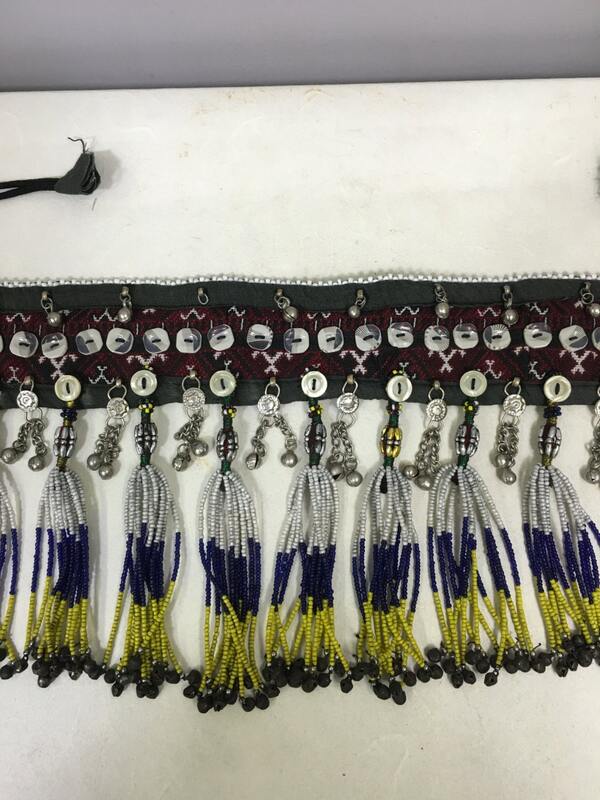 This unique belt would be beautifully displayed in your home, it can be worn or it would make a wonderful gift. Total belt width is 55"